Picture this scenario: You’re driving your car down the street, well within the speed limit, proceeding through an intersection, and you get hit by someone who ignored a stop sign. The other driver apologizes, and admits that he simply didn’t see the stop sign. You’re wearing your seat belt, but you feel an immediate pain to the shoulder. 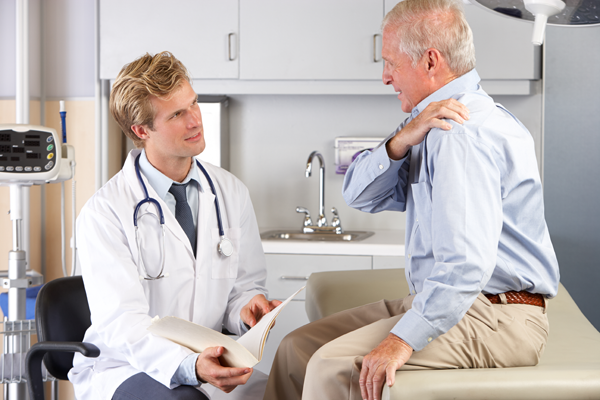 You consult with an orthopedist, learn that you have a torn rotator cuff, and undergo a surgical procedure to repair the injury. You miss several weeks of work. A few weeks later you start a several months long regimen of painful physical therapy to regain strength and motion in the shoulder. The White Plains accident attorneys at Worby Vecchio Edelman have years of experience in automobile accident cases, and we would always accept this type of case. These facts indicate that you were not at fault, and you sustained what looks like a severe injury and even underwent surgery. Still, because of a pretty confusing law, the above facts would not guarantee a recovery against the owner and operator of the other vehicle. New York is a No Fault state. Pursuant to the New York No Fault Law, in order to recover pain and suffering damages as a result of an automobile accident, you have to prove that you have sustained a “Serious Injury”. This is a term defined by the New York Insurance Law, and there are nine separate definitions. If, for example, you sustain a fracture – any fracture, even a relatively minor fracture of the tip of your pinky – you have by definition sustained a Serious Injury. This is because one definition of Serious Injury is “fracture.” However, in our example, you did not sustain a fracture. The injury used in our example – a tear, even one which requires surgery – does not automatically qualify as a Serious Injury. The question of whether you can recover under this factual scenario is based upon whether you can meet another definition of Serious Injury, and we are confident that you would be able to do so. The issue is often resolved on the question of whether your injury has resulted in a significant limitation or loss of range of motion. The paradoxical nature of the threshold definitions of Serious Injury rests in the fact that a simple fracture automatically meets the definition, while a far more significant injury – the above-stated rotator cuff tear, an ACL tear, or even a disc herniation which requires fusion surgery – does not. The accident attorneys at Worby Vecchio Edelman know what it takes to prove that what we all consider a serious injury is, in fact, a “Serious Injury” under the law. The types of injuries we’ve discussed here all result in significant levels of pain, with extended periods of recovery, but pain itself is not an injury. Yet, the cases do recognize that a patient’s pain level, together with other measures, is evidence of Serious Injury. New York appellate courts often comment on the difficulty of applying the threshold law to a particular set of facts. The Court of Appeals, New York’s highest court, stated in 2005 that the task is “particularly vexing”. It takes an experienced firm to navigate this law, and the attorneys at Worby Vecchio Edelman have that experience. Call us if you are involved in an automobile accident, or if you are injured in any type of accident. We’ll answer your questions, and give you our opinion. We’ll tell you if we think you have a case, and we’ll tell you if we think you do not have a case. Either way, your questions will be answered to your satisfaction, and you’ll understand all of your legal rights. We work on contingency, so there’s no obligation; we only charge a fee if we obtain a monetary recovery on your case.